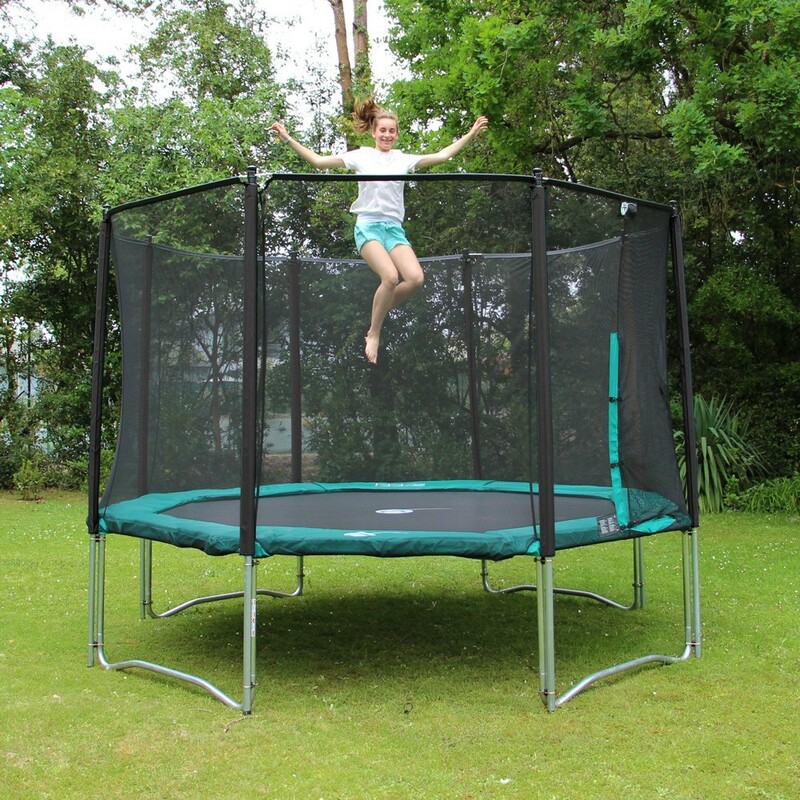 This outdoor octagonal trampoline maxi-pack will delight the whole family. 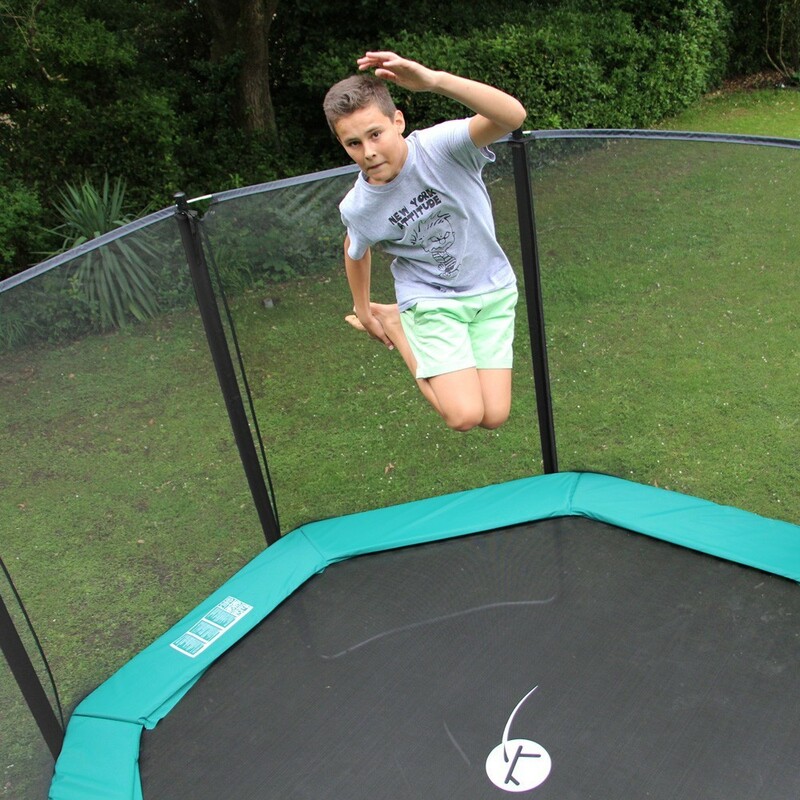 With its springs positioned facing one another, and its large jumping mat, it offers excellent jumping conditions to satisfy thrill-seekers of all ages. 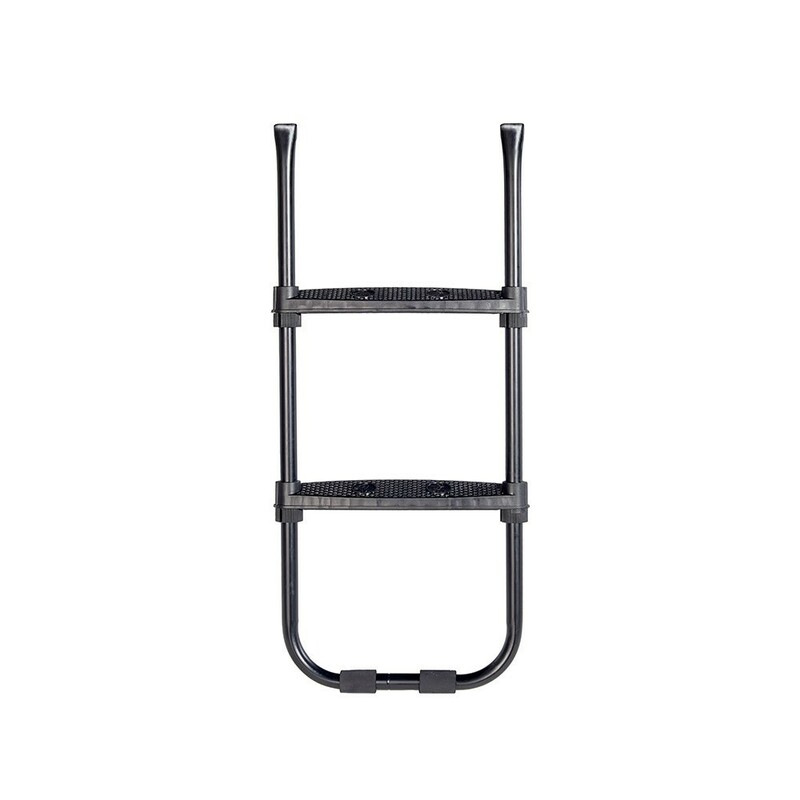 This model is a favorite among professionals. 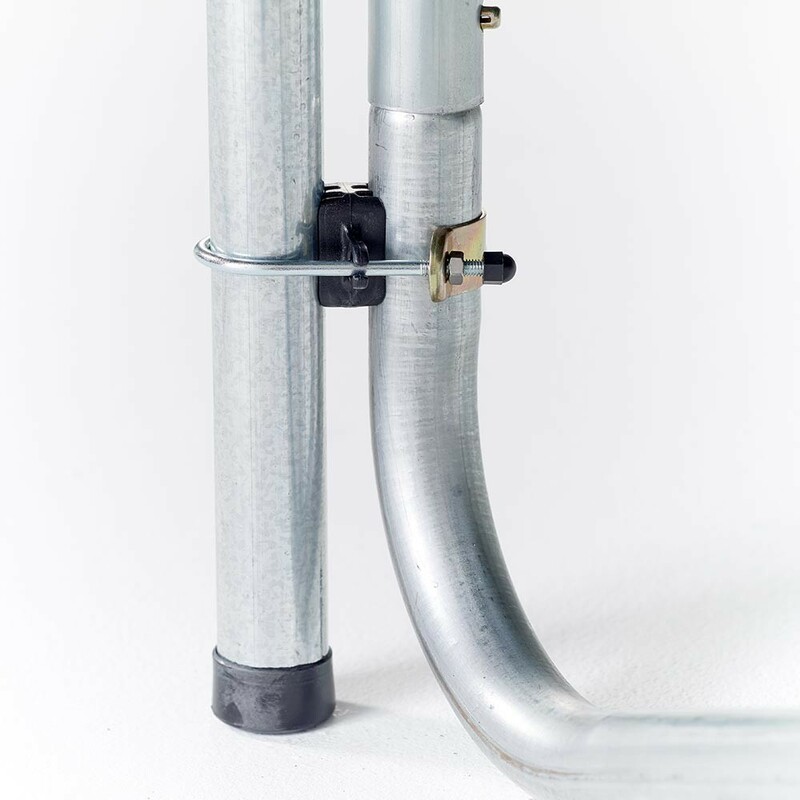 - Its thick frame is made of galvanized stainless steel tubes assembled with powerful T-shaped junctions, which are much sturdier than welded parts. 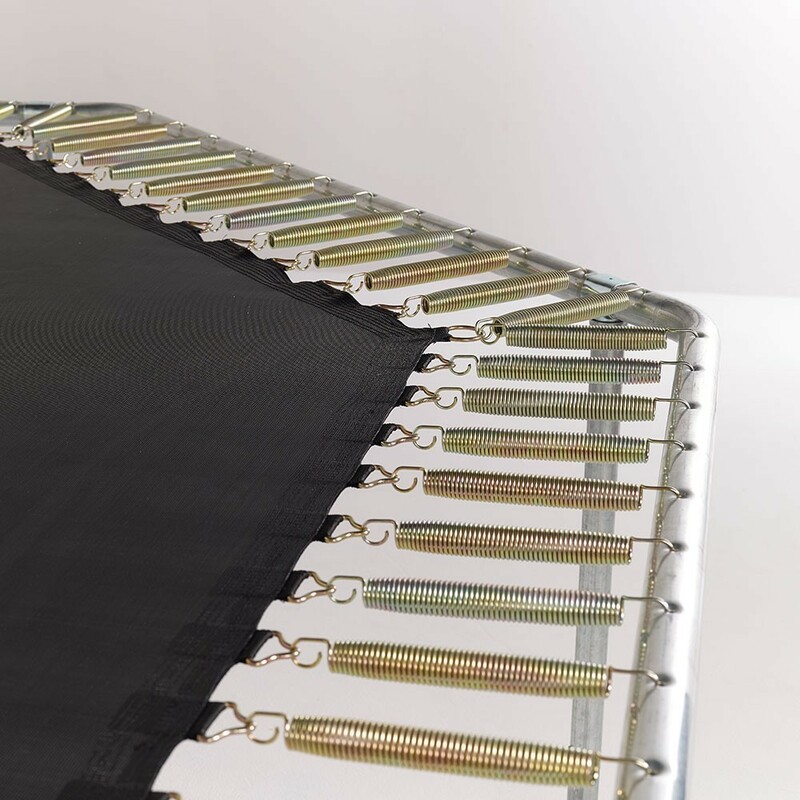 The galvanized stainless steel allows you to leave the Woauuh trampoline outdoors year-round. 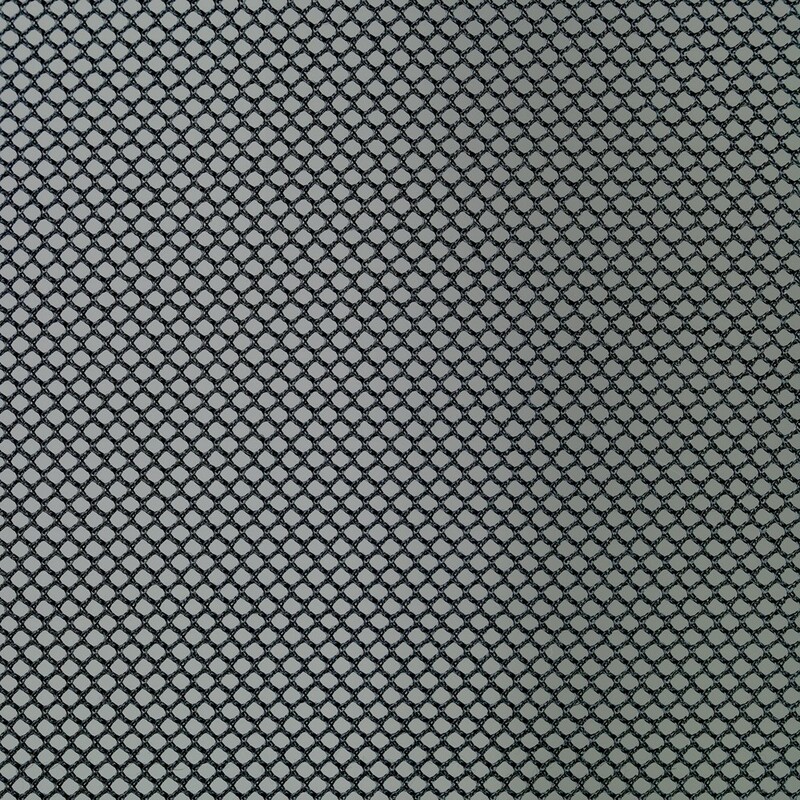 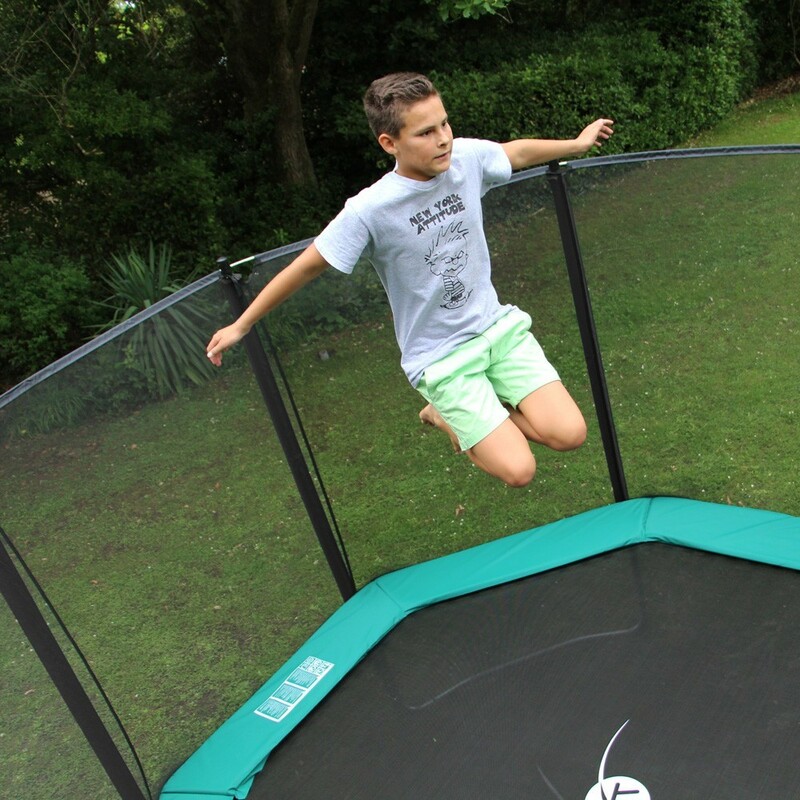 - The outdoor trampoline mesh jumping mat is extremely resilient. 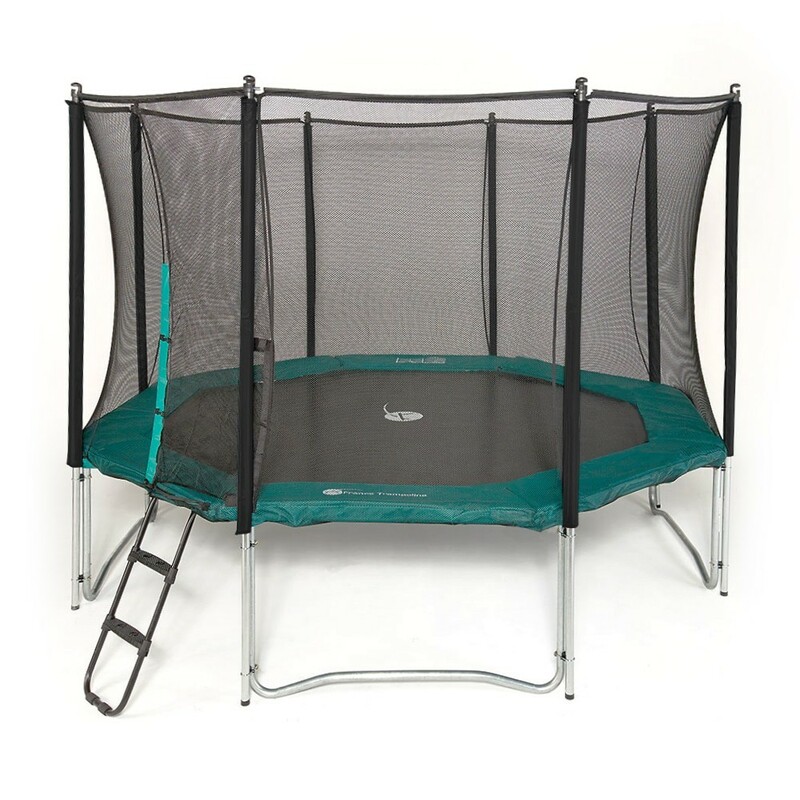 UV-resistant, it is equipped with 96 230-mm springs to allow users to perform powerful jumps. 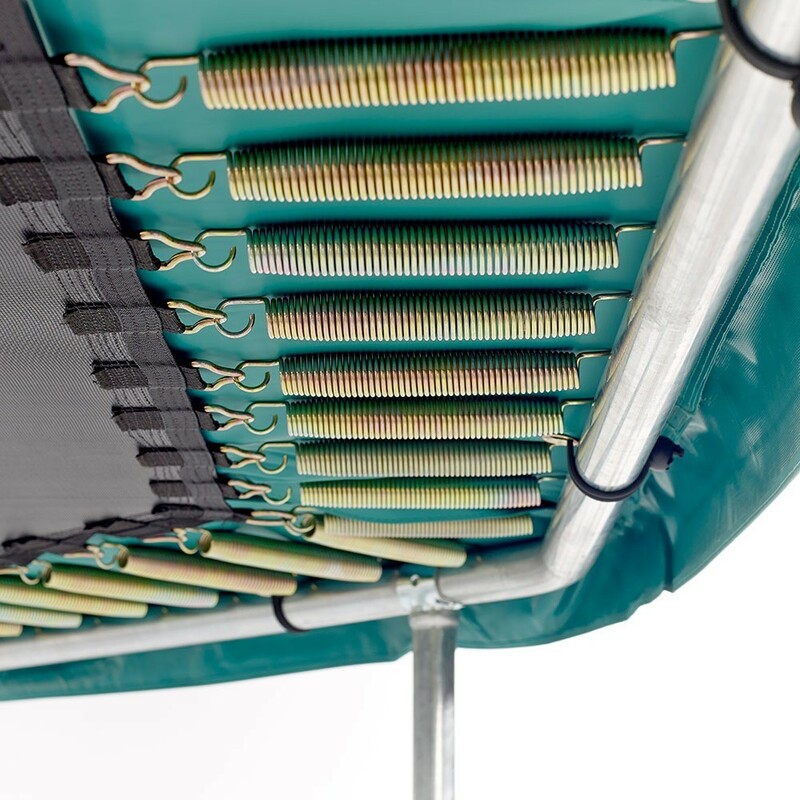 The springs are positioned facing one another to produce dynamic jumps. 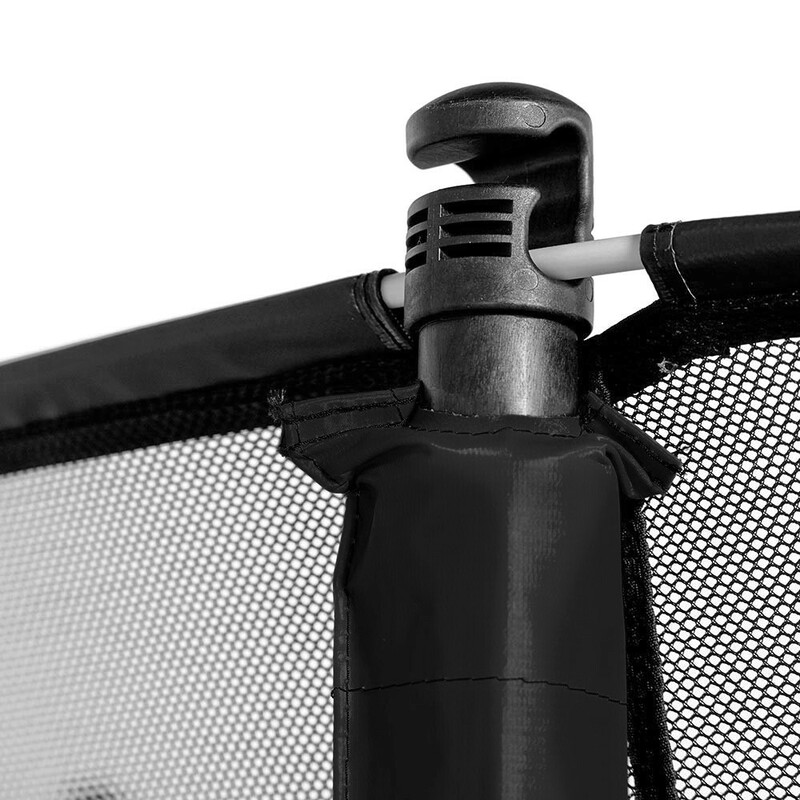 - The jumper is protected by a premium safety enclosure, held up by 8 net posts directly anchored to the ground. 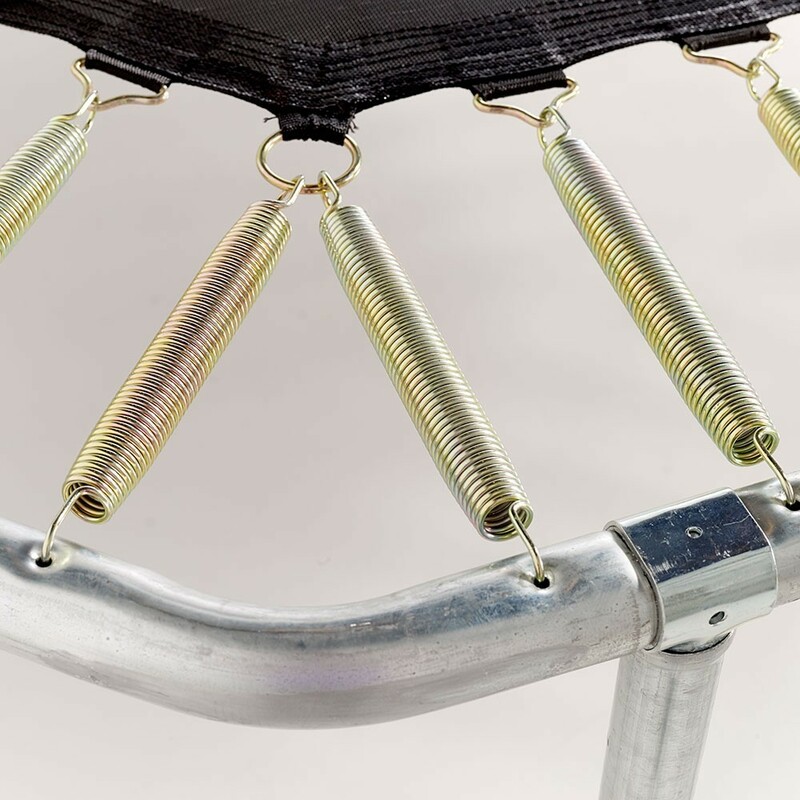 Each net post is securely fastened to the W-shaped trampoline leg by 2 separate fixation brackets. 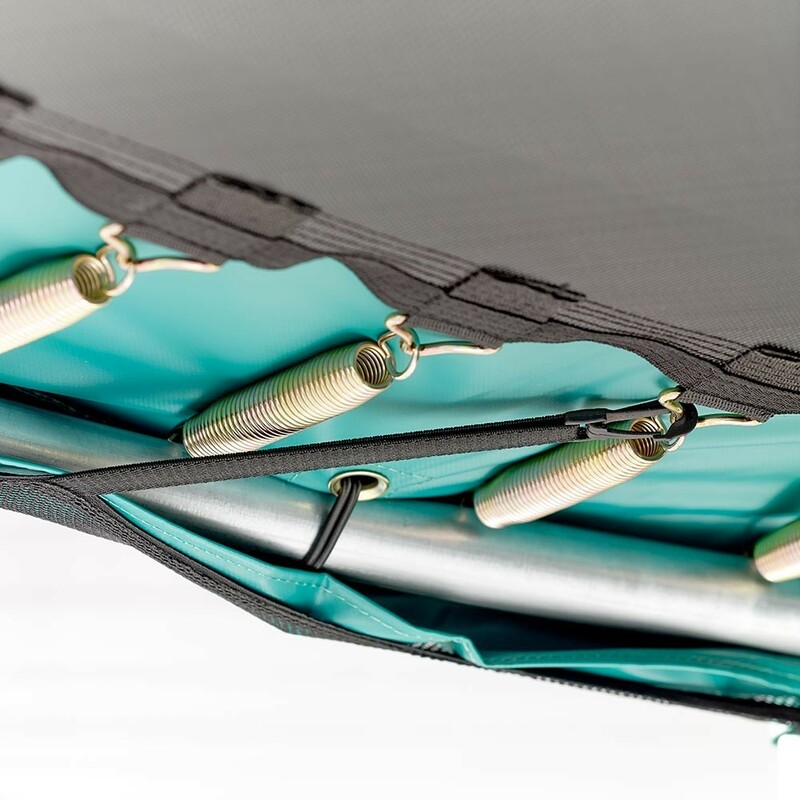 - The thick safety pad is made of 30-mm EPE foam. 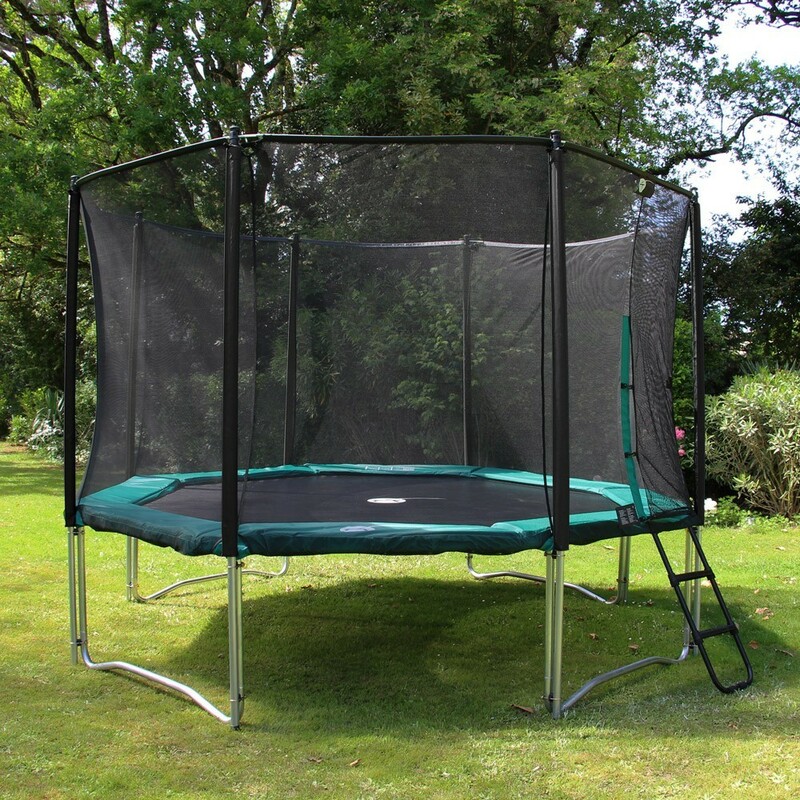 It covers the springs entirely and cushions a jumper's awkward landing. 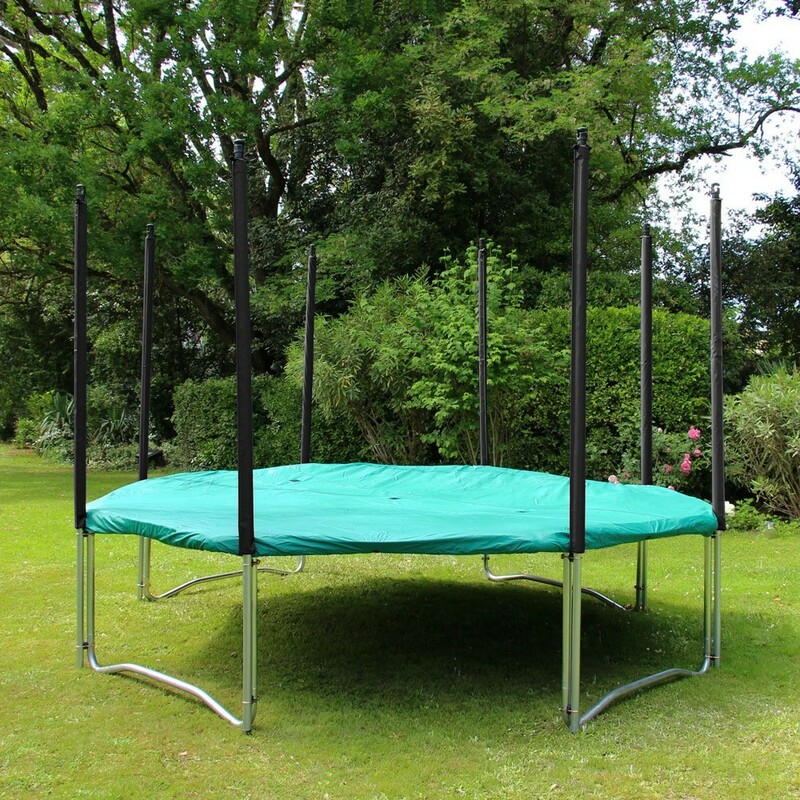 - The step-ladder allows children to safely access the trampoline. 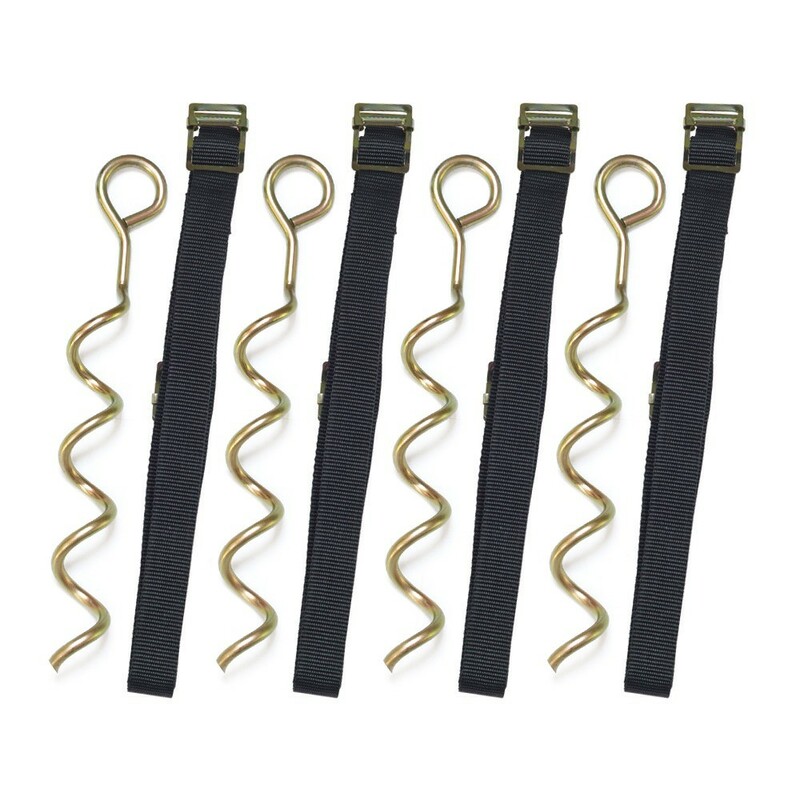 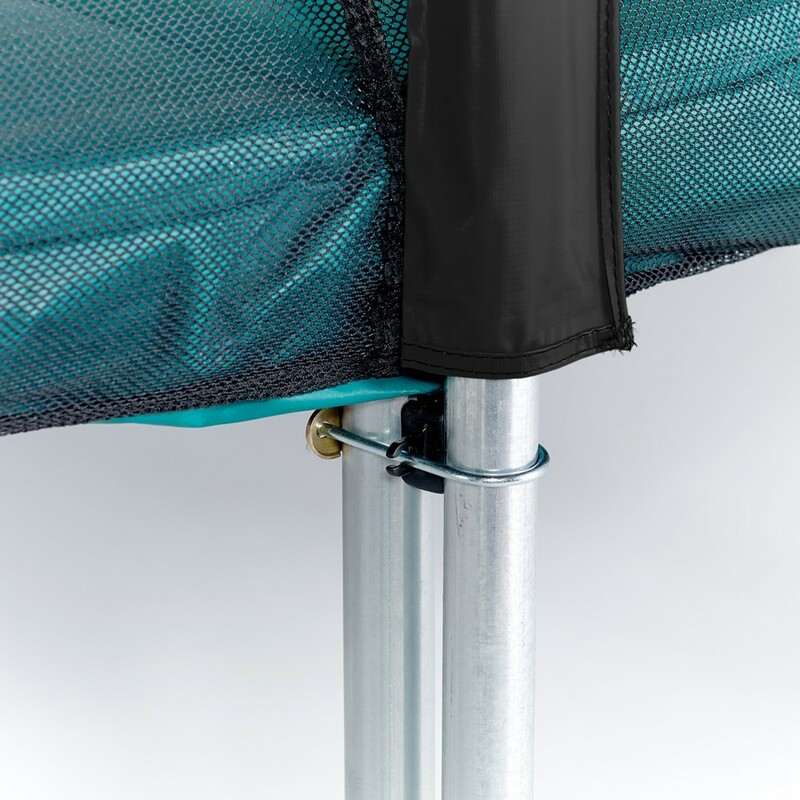 - The trampoline anchoring kit lets you anchor your trampoline firlmy to the ground by means of 4 spikes dug into the ground, fastened to the trampoline legs by solid straps. 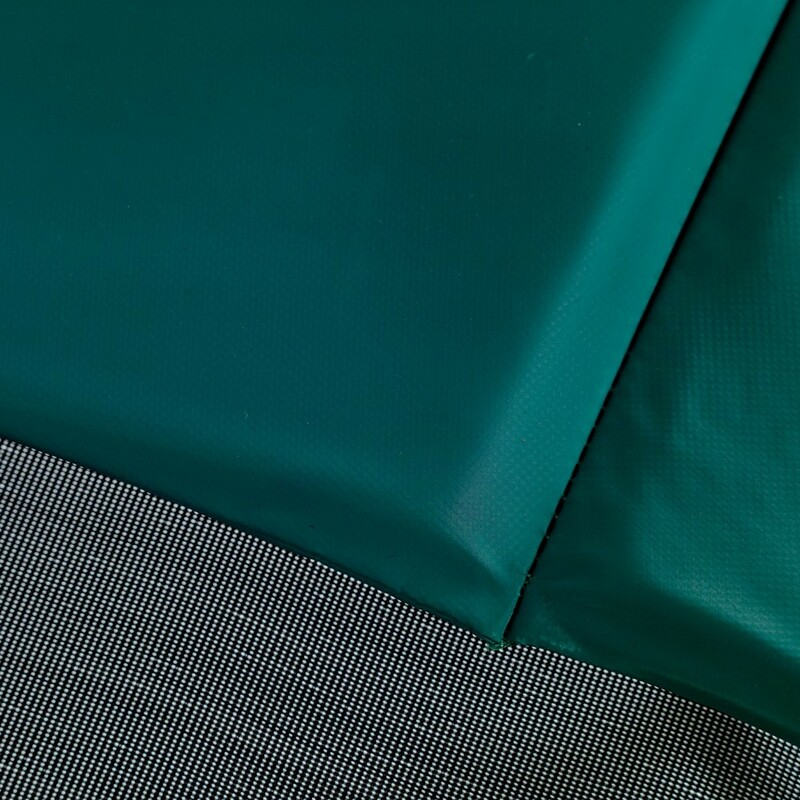 - The premium protective cover will allow you to protect your trampoline when not in use over an extended length of time. 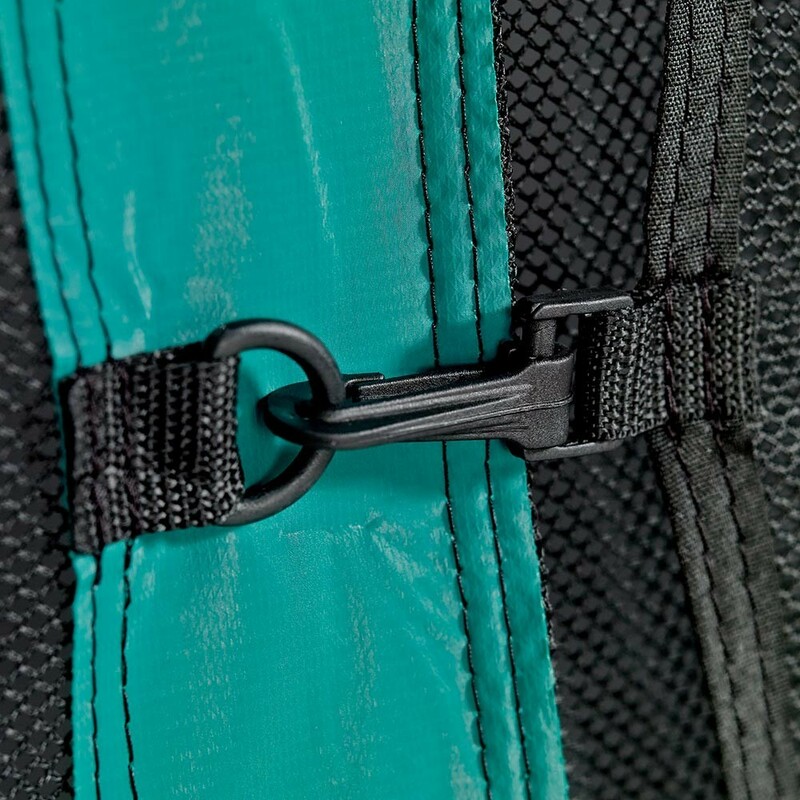 It will prevent water from accumulating in the center because it is equipped with a 3-point water drainage system. 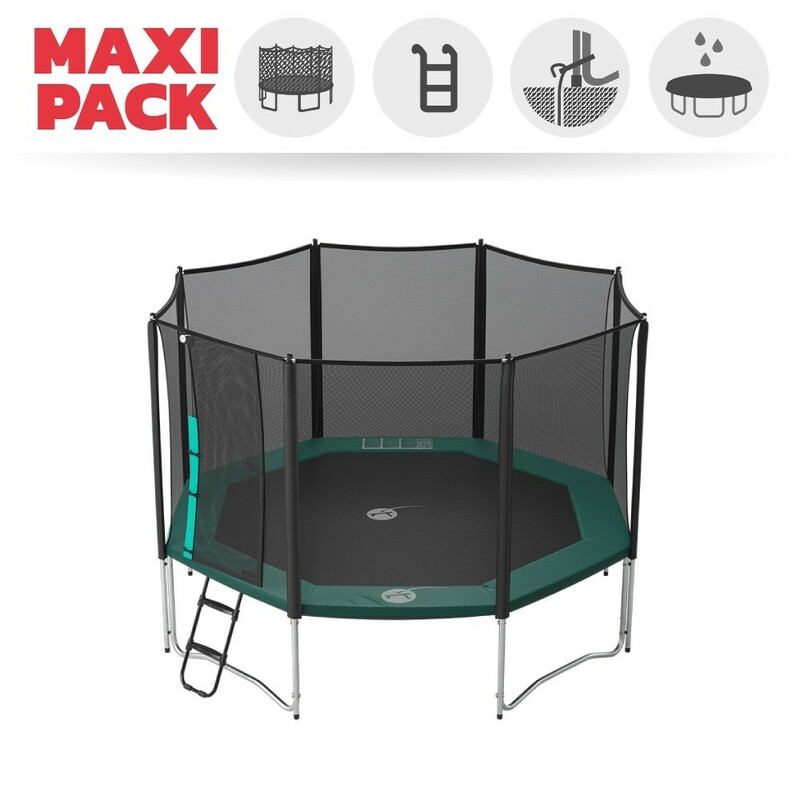 Très beau trampoline. 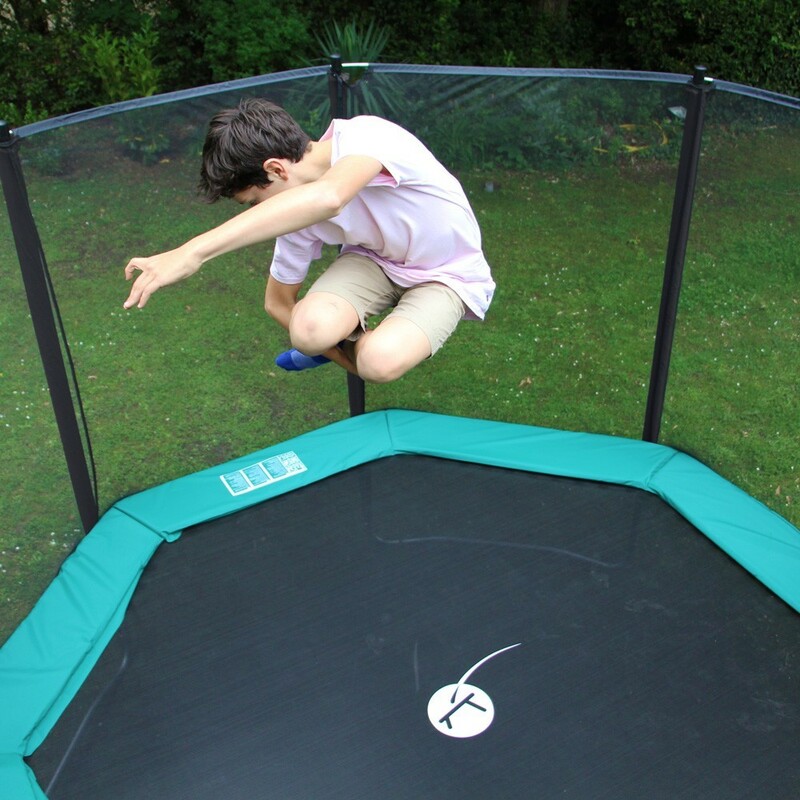 Belle qualité.